Perhaps we still have Americana on the brains, but we can't help but be inspired by the retro shots of Bruce Springsteen we keep seeing lately. 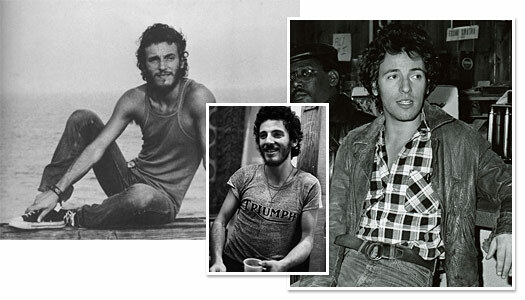 Even in his youth, the Boss was unimpeachably cool with a stripped down style chock full of comfortable classics. Threadbare T-shirts, beat-up Chuck Taylors and biker jackets. These are faultless staples that never go out of style. And make for easy off-duty dressing in the dog days of summer. Springsteen's mother bought him his first guitar, at age 13, for a mere $18.